GTL’s highly accurate non-invasive test is considered as the most advanced prenatal paternity test across the globe. Starting at your 8th week of pregnancy (6 weeks past conception), you can confirm the paternity of the unborn child with an accuracy level of 99.9%. The non-invasive test requires a blood sample of more than 6 ml from the mother which needs to be collected via a blood draw by a qualified person. A sample of cheek cells (collected using mouth swabs) from the alleged father is also needed. Genetic Testing Laboratories is offering this highly scientific test at competitive rates, starting from £869! Standard results are available within 7 to 10 working days. However, we also offer an express testing service with results in 5 to 7 working days guaranteed for an additional cost of £235. Please note that for express testing the mother needs to be at least 10 weeks pregnant. Pregnant mothers who need to confirm the paternity of their unborn baby can opt for procedures like amniocentesis or Chorionic villus sampling. However, these procedures are far from pleasant to undergo; they require insertion of syringes into your womb and they carry multiple risks such as miscarriage, leakage of the amniotic fluid or damage to the baby’s limbs. With the non-invasive prenatal paternity test, you have none of these worries: a simple medical blood draw anytime beginning from your 8th week of pregnancy and we can confirm whether the tested male is the biological father of your baby. The alleged father cannot be excluded as the biological father. In this case, the tested male is the biological father and it will be confirmed with a 99.9% probability. The alleged father is excluded as the biological father of the baby. In such case, the tested male is not the biological father and he will be excluded with a 100% probability. You can read the terms and conditions of the non-invasive prenatal paternity test. How does this DNA test work? This bioinformatics-based prenatal test relies on the analysis of what scientists call cell-free fetal DNA. 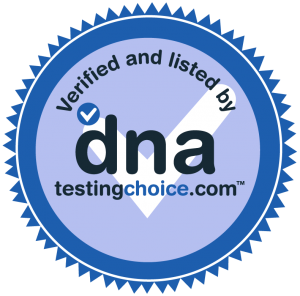 The analysis of cell-free fetal DNA makes this test much more accurate than other non-invasive prenatal tests which use fetal DNA that is still enclosed in the fetal cells (nucleated fetal DNA). It is important to note that a prenatal paternity test which analyses cell-enclosed DNA carries a chance of misdiagnosis. On the contrary, there is 0% chance of misdiagnosis with GTL’s prenatal paternity test that uses cell-free DNA. This prenatal test uses Next Generation Sequencing (NGS) technology to analyse more than 5000 genetic markers known as single nucleotide polymorphisms (SNPs). These advanced methods of analysis not only help us distinguish the fetus’s DNA from that of the mother but it also enables us to provide you with the accurate results you need. GTL’s prenatal paternity test cannot be conducted in cases of In Vitro Fertilization (IVF), twin or multiple pregnancies, less than 8 weeks pregnancy (6 weeks past conception) or when the alleged fathers are close blood relatives. The test also cannot be conducted when the mother is suffering from cancer or pre-eclampsia or has had a recent blood transfusion, bone marrow, organ transplant or stem cell therapy. Baby Gender upgrade: Are you having a boy or a girl? We are also offering our clients the option of learning the gender of their unborn child! For just an additional £149, a baby gender report can be included with the results of your prenatal paternity test. Please note that this upgrade requires an additional sample from the expectant mother. Opt for this upgrade today and discover if you are having a boy or girl! A qualified person such as a doctor or a nurse is required to collect the blood sample for this test. However, the alleged father’s sample (cheek cells) can be collected by the test participants themselves following the instructions provided in the kit. Once both samples are collected, they need to be placed in the biohazard bag which can then be inserted in the white box provided. The next step is to insert the box into the courier pouch provided and to contact the courier and arrange an appointment to have your samples collected. The expectant mother must be in at least her 8th week of pregnancy, starting from the first day of your last menstrual period (6 weeks from conception). We cannot directly assist you in confirming how many weeks pregnant you are but we can guide you to a pregnancy calculator. If the samples for both alleged fathers are available we strongly advise that you send them both. Please note that there is an additional fee of £385 for testing the second father. If the father lives in a different location, Genetic Testing Laboratories can send out a separate kit for a small fee. Fetal DNA is cleared from the maternal bloodstream within a few hours. Because of this, there is no chance of misdiagnosis with our test. However, please note that the test results can be affected by other factors such as the gestational period, mutations in an individual’s DNA, contamination during sample collection, method of sample storage and transportation. This test is not aimed at establishing the gender of the child. If you wish to find out whether you are expecting baby girl or baby boy, we offer an additional option with this test.